The 4th edition of this best-selling book provides a comprehensive summary of the current state of the law in this heavily litigated area. It also comes with a free-e-book. A practical, concise and easy to read handbook, by Andrew Mckie of Clerksroom, dealing with allegations of fraud in personal injury RTA cases. Andrew Mckie's practical guide to running highways, occupiers and defective premises claims in an economical and efficient way, post-Jackson and in fixed costs. 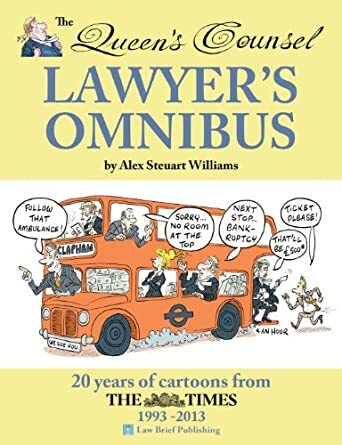 The 20th anniversary collection of the classic Queen's Counsel cartoons by Alex Williams which have featured in 'The Times' throughout that period. Needing estate planning advice? Contact Wilford Smith’s wills & probate lawyers today. Tax Returned Limited is a uniform tax rebate processer for UK clients.